​ALLEN – Twin Creeks Marketplace—a 43,134-sf grocery-anchored neighborhood center has been acquired by Vestar. Located at 1265 W. Exchange Pkwy., the asset was developed in 2016. Twin Creeks Marketplace sits on five acres at the intersection of W. Exchange and Alma Dr., close to multiple residential communities. The property features more than 250 parking spaces. At the time of sale, the retail center was fully leased. 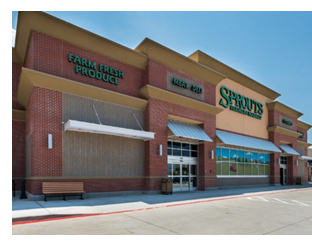 Tenants include Sprouts Farmers Market, Verizon, Starbucks and Advancial Credit Union. ​​Stay up to date on the latest Texas retail news​.